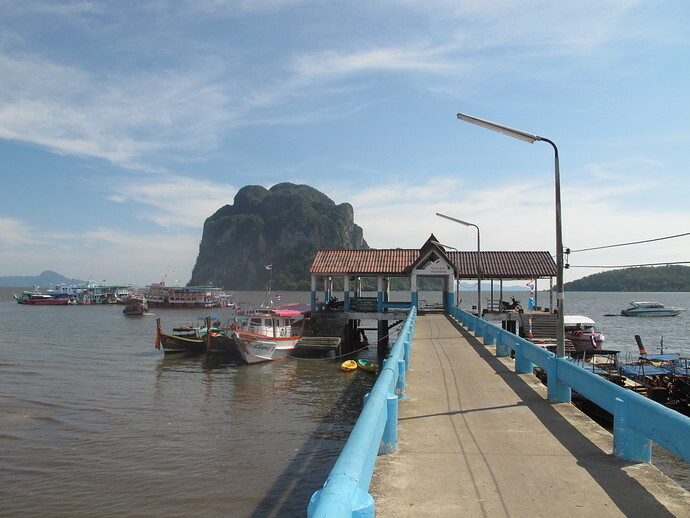 Pak Meng Pier (also known as Pakmeng Pier) is the departure point for longtail boats going to the islands of Koh Mook, Koh Kradan, Koh Ngai and Koh Libong. Longtail boats run from Pak Meng Pier to Koh Mook, Koh Kradan, Koh Libong and Koh Ngai all year round. During high season – November to April – it’s possible to catch the ferry to these islands direct from Phuket, Koh Phi Phi, Koh Lanta and several other islands along the Thailand coast. During low season (May to October) only the longtail boats run to the islands. The timetable for departures from Pak Meng Pier to each island is quite fluid. Boat drivers wait until there is enough people to make sure they aren’t losing money on the trip.